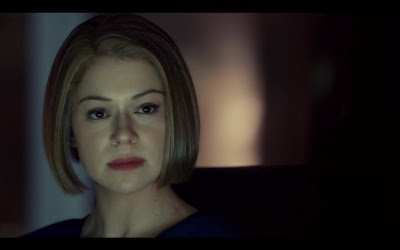 ORPHAN BLACK: It shouldn’t be shocking that the writers of Orphan Black decided to insert a few nods to Aldous Huxley’s novel Brave New World in their new sci-fi thriller drama that has taken the Internet and social media scene by storm. But, what might be shocking is just how deep these parallels run and how many of them you may have missed—even if you’re on your fifth re-watch. ORPHAN BLACK: It shouldn't be shocking that the writers of Orphan Black decided to insert a few nods to Aldous Huxley's novel Brave New World in their new sci-fi thriller drama that has taken the Internet and social media scene by storm. Both the television show and the novel obviously rely heavily on the idea of human cloning, but they also both address themes such as social class, the fracture of the traditional family unit, causes and effects of pharmaceutically generated happiness, and loss of individual identity. But, what might be shocking is just how deep these parallels run and how many of them you may have missed—even if you’re on your fifth re-watch. In case the last time you read Brave New World was sophomore year of high school or never, here’s a quick recap: the novel takes place in a dystopian future where state scientists use cloning processes and conditioning stimuli to control every aspect of a person’s identity. The plot follows a man called John the Savage, who has grown up outside the World State. John is the illegitimate lovechild of The Director (a.k.a. the scary head of everything). When John’s true identity is discovered and he becomes fully integrated in society, things go horribly wrong for everyone. For more information, check out Wikipedia, SparkNotes, or buy your very own copy of this awesome book. Now that you’re all caught up, you can see that the ideas of Orphan Black are closely tied to those of Brave New World. So, let’s delve a little deeper. "Ninety-six identical twins working ninety-six identical machines!" The voice was almost tremulous with enthusiasm. "You really know where you are. For the first time in history." Here, cloning is about assigning place within society and, consequently, creating a rigid communal identity. In Orphan Black, however, there is an interesting inversion of this. The Orphans are genetically identical (well, almost), but each has been raised under completely different cultural and socio-economic conditions. As a result, the science doesn’t seem to be focused on the creation of clones in order to rid the world of individual identity, but rather to study whether individual identity is inherent at all. Which brings us nicely to the idea of the loss of individual identity. In Brave New World, loss of individuality operates on a high level plane—the theme runs throughout the novel, but none of the main characters have been spawned via cloning (only lower class Gammas, Deltas, and Epsilons are created using the cloning process Huxley outlines). And even if one of the main characters were of a lower class, he or she would be so thoroughly and purposefully stunted and conditioned that they would be unable to have truly coherent thoughts about identity regardless. 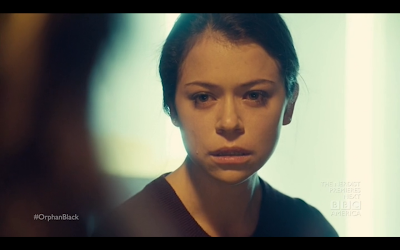 In Orphan Black, however, the fear of losing one’s individualism operates on a much more personal level. Whenever Sarah is confronted with a new clone, there is yet another division in what she appropriates as her own self-identity, which leads to plenty of internal drama and questioning: if there’s more than one of you, which you is you? This also leads, in both cases, to the question of ownership. Huxley’s World State subscribes to the idea that any human being cannot own himself. Orphan Black deals with the backlash from that very idea; when the Orphans struggle with the information that they are patented organisms, their freedom and self-worth become quantifiable commodities, threatened by the claims of their creators. to Slytherin if this quote comes out of Rachel Duncan's mouth in Season 2. To comprehend and deal with transcendental questions such as these, some people may turn to spirituality or philosophy. But, in Brave New World and Orphan Black alike, drugs are the coping mechanism of choice. Huxley’s soma is government-issued and encouraged for use in relieving any kind of worry or unhappiness and distracting from the grim state of societal affairs. In Orphan Black, pharmaceuticals are used in much the same way. Alison turns to her “happy pills” whenever her “clonage” begins to threaten the façade of her perfect life, we learn that Beth was both a user and abuser of various prescription drugs, and even Sarah sees Vic’s cocaine dealing as an escape from her life of hustling and criminality. This pervasive drug use also correlates nicely with the science fiction aspects of both stories, invoking the fear of what science will be able to achieve in the future, while also making it clear that these achievements will have a direct impact on the human body and psyche. Amazing job underlining that parallel, Delphine. You go, girl. But, what may be the most profound reference comes before anyone is even looking for it. 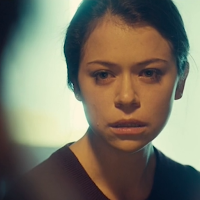 In the very first scene of the pilot, we see Sarah Manning witness Beth’s suicide, and then, in a stroke of fierce moral ambiguity, makes off with Beth’s wallet and identity. There’s a lot to pay attention to in this scene—so much to pay attention to, in fact, that it’s frighteningly easy to miss the seemingly miniscule detail that the name of this train station is Huxley Station. 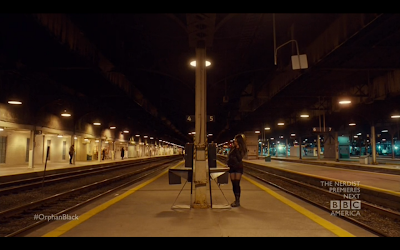 Huxley Station, as a location, serves as an axis to the plot of Orphan Black – meaning that many of the subsequent events not only extend from what happens there, but also revolve around it. Beth’s suicide serves as the inciting incident for Sarah, and the catalyst for all the action that follows. But, the connection between Huxley and the site of Beth’s death also leads to some pretty heavy associations. Staging her death here casts Beth’s suicide with a kind of hopeless and inescapable irony, especially when considering the parallel themes of Brave New World and Orphan Black. 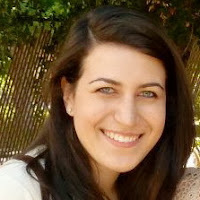 The fact that Beth’s is a purposeful and planned death shouldn’t go unnoticed either. As we watch Beth take off her shoes and carefully fold up her jacket, we get the visual cues that this suicide has been carefully planned. Beth hasn’t left anything to chance; when taking this into account, her choice to commit suicide at Huxley Station is, under these circumstances, almost poetic. The purpose of referencing Brave New World’s author so early on in the pilot is also worthy of note in and of itself. “Huxley Station” is the very first phrase spoken in the entire series. 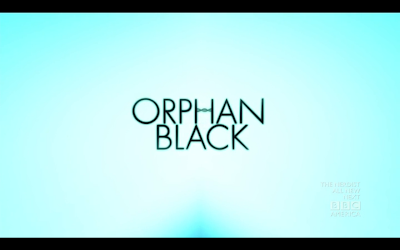 Not only do these words bring Sarah into the world of Orphan Black (by literally awakening her from her unconscious, sleeping state), but they also introduce the viewer to a physical as well as psychological place that is, at first, seemingly harmless, but is revealed to have an underside of something secret and sinister. 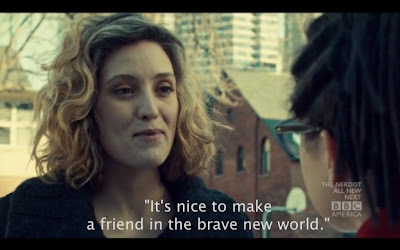 Finally, it is interesting to note that Brave New World ends with a suicide while Orphan Black begins with one. This, along with the many other nods to Huxley’s novel and Huxley himself, leads to a strong argument for the theory that Orphan Black is the natural successor to address the ideas, questions, and fears addressed in Brave New World that still plague our society today. Science fiction isn’t going anywhere, and for a good reason. This genre tackle big themes and big questions that were important a hundred years ago, are important today, and will still be important in another century. Ladies and gents, it’s time to start paying attention to your television—it’s not melting your brain; it’s making you think. Aldous Leekey even adapts some of Aldous Huxley's mannerisms, such as the left-ward head tilt. Also, Aldous also uses the phrase "Brave New World" in the opening NeoLutionist lecture. actually, it’s melting our brain! its all about the social engineering that Huxley taught us in "a brave new world" and that in "brave new world revisited" reminded us that its not just a similarity, its a possible future and something thats it's going on right now.